Rocky Mountain District / Uncategorized / High School Quartet Contest A Success!! 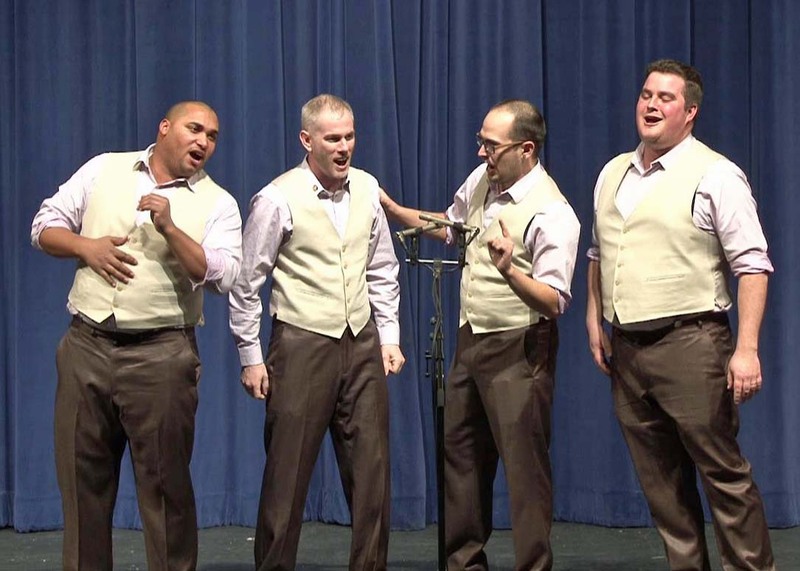 Denver area Barbershoppers and Sweet Adelines host 20th Annual Youth Harmony Quartet contest – Feb. 19, 2018. The 20th annual High School Quartet Contest gathered some of the finest high school harmony singers in the Colorado Front Range… despite a wicked snowstorm that picked up steam about five hours before the contest! Two quartets from the Colorado Springs area, and two from Aurora, traveled many miles in snow and ice to get together with other high school quartets and do what they enjoy best – A Cappella harmony singing! Three quartets from Arvada also participated in the contest (one by video, which was an alternative presented due to the inclement weather). We officially switched to the Barbershop Harmony Society official judging system, because the men’s quartets are eligible to submit their videos (masterfully recorded by our A/V engineer, Al Klinger) to the International Youth Quartet Contest preliminary qualification round, and we wanted them to have a solid idea of their standing at the time of this recording. All submitted recordings are judged by one panel on an equal basis, but our panel provided a courtesy score along with notes on their performance. We will continue to use the official scoring system, and endeavor to add eligibility for the girl’s quartets to enter the Rising Star competition in the future. Our quartet scores ranged from just below 54 to above 63. Both of the first place quartets (men’s and women’s) were from Grandview High School. The women’s quartet is called Petrichord and the men’s quartet is called 60 Minutes. Video of their performances can be seen on www.SummerHarmonyCamp.com. Every participant received a medal, and a 50% scholarship to Summer Harmony Camp (which is July 13-15 at the YMCA, Estes Park) and the first place quartets received a 100% scholarship. The judging panel consisted of John Coffin (Performance Category…and the VP of Contest & Judging for the Rocky Mountain District), Chris Richards (Singing Category) and Tyler Wigginton (Music Category… substituting for Rod Sgrignoli who was out of town due to a medical emergency regarding his mother). Tyler will be entering judging candidate school at the next cycle. He was at the contest with his District Championship quartet, Maelstrom, which performed for the high school quartets and the sparse (due to the weather) but VERY enthusiastic audience. They also shared their high school singing experiences, which included two of them (Tyler and Wes) having won the championship at the High School Quartet Contest “a few” years ago. They also candidly shared about the learning process in some of their not-so-successful endeavors. Actually, every endeavor is a success, if you learn from it, and we’re all learning, even those with the highest score. The first place men took home the traveling trophy, a masterpiece of craftsmanship created by a Heritage High School student named Mike Farr in the school woodshop. The first place women took home the traveling tiaras which they will wear any time they sing together during the remaining school year. Summer Harmony Camp registration is now open and we are hoping for 150 students to join us this year. Please spread the word. Tuition is only $90 (covers everything… all you have to do is get there). Johnny Bugarin is the men’s clinician with Maelstrom serving as the teaching quartet. 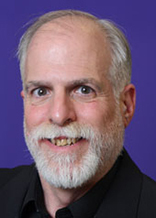 Rod Sgrignoli is the women’s clinician with the teaching quartet TBA. Register at www.SummerHarmonyCamp.com. The High School Quartet Contest is held every year on President’s Day, which will be Feb 18 in 2019.